Note: Competition use only. Not CARB approved. 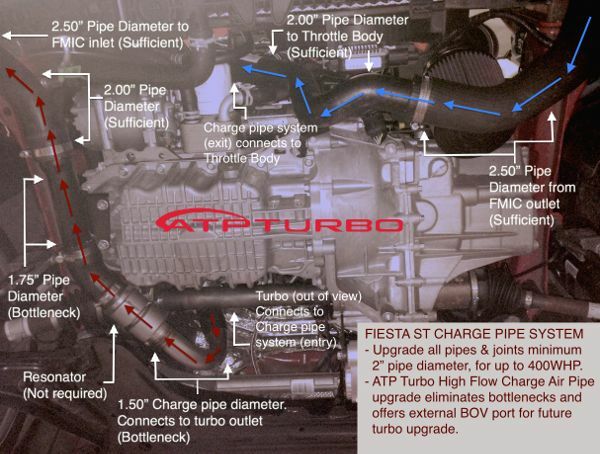 ATP Turbo high flow charge air pipe includes 1” side port for upgrade mechanical BOV (Tial, HKS, Greddy, etc.). Alternatively, stock electric diverter valve may be relocated to 1” side port (note, stock electric diverter valve integrated into stock turbo compressor housing). Upgrading stock turbo to Garrett GT/GTX turbo requires a high flowing mechanical or vacuum actuated valve to handle increased flow on throttle lift. 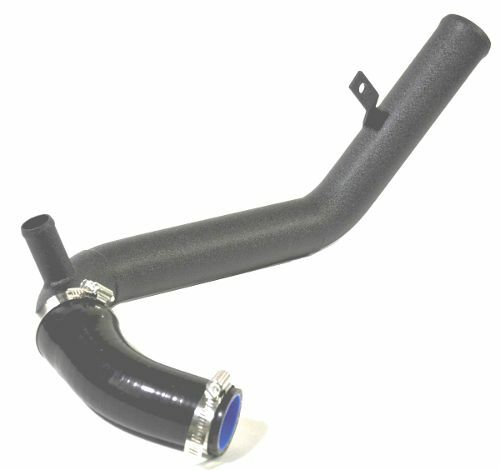 NOTE: ATP Turbo's high flow charge air pipe for Fiesta ST owners is less than ideal for those without turbo upgrade plans - the cold side chargepipe is not a restriction and this offers a 2.4kpa reduction in pressure drop. Originally it was thought that there was no significant gain for the chargepipe of the Fiesta ST, however further testing proved this not to be the case. 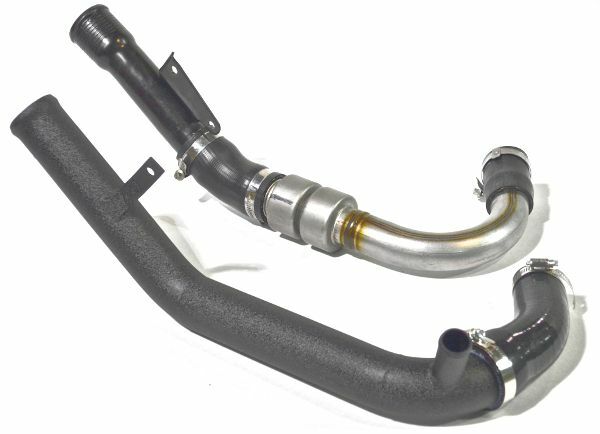 While the choking point occurs at turbo outlet (1.5” outer diameter and slightly above 1.25” inner diameter), the omission of the resonator improves throttle response Alternatively, intercooler upgrade will yield better returns and greatly enhances performance from even the stock turbo. The additional provisions of the ATP Hotside Chargepipe allow for an alternate blow-off valve and varies slightly from the stock configuration. When using ATP Turbo high flow charge pipe and turbo upgrade (stock location), a 2” to 2” 45 degree silicone coupler is required; and you are ready to handle big turbo power up to 400WHP.